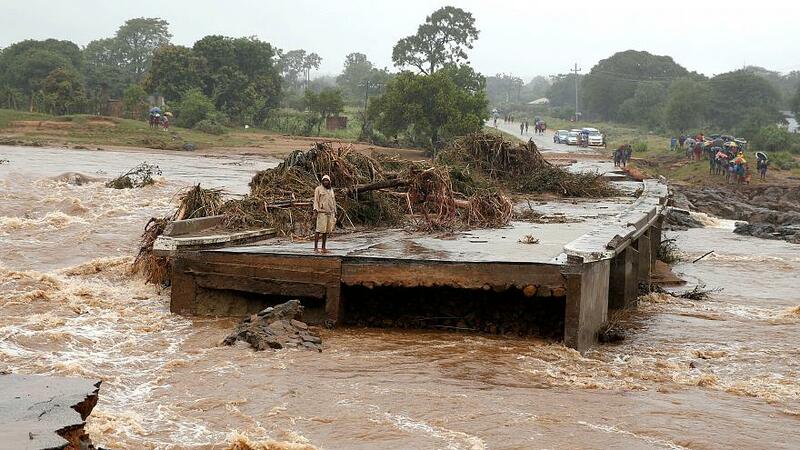 The South African team deployed to Mozambique a week ago to head rescue efforts after the devastating Cyclone Idai has returned home physically and mentally exhausted. The team, consisting of personnel from IPSS Medical Rescue, Rescue SA and Rescue Care, made their way by car to Beira, the country’s second-largest city and major port hub, on March 14. They were engaged in their first rescue missions the following night. IPSS Medical Rescue operations manager Paul Herbst said they managed to perform multiple water-rescue missions, despite harsh conditions, which included high winds, heavy rain and 5m of surging water. He said that due to a lack of space on rescue vessels and the large number of people clinging to trees and rooftops, they could only save the elderly, women and children, choosing to come back for the men. Herbst spoke of the agony upon their return of finding that people left behind had been swept away by the currents. He said concerned parents had thrown their children at rescuers, knowing there was no space in the vessels for themselves, in the hope that their children would survive. On days two, three and four, multiple rescue missions were undertaken to pluck people from rooftops, trees and high-rise buildings using South African Air Force helicopters. Rescue-relief teams arrived in Mozambique on Wednesday and the medical rescue personnel returned home, suffering from extreme physical and mental fatigue. The team flew back because roads leading to SA have been swept away. Rescue SA has remained in the country to help with relief efforts. The official death toll, reported on Thursday, stood at 217, with around 15,000 people, many of them ill, needing to be rescued, according to Mozambique’s land and environment minister Celso Correia. Herbst, however, estimated the death toll to be in the thousands. “We have never had something of this magnitude before in Mozambique,” said Emma Beaty, coordinator of NGO grouping Cosaco. Some dams have yielded, while others have reached full capacity. Much of the country remains inaccessible due to flooding. “The biggest threat we have now, even bigger than the cyclone, is floods,” warned the governor of Sofala province, Alberto Mondlane.